People are living longer, but by the time they die they often have co-morbidities, such as dementia. Multiple symptoms are common among people with dementia, and poor symptom control may worsen their quality of life. Failure to recognise dementia as a terminal condition may contribute to this poor management. Death in the tenth decade or later is becoming increasingly common, but dying in advanced old age is still rarely described. This study drew on databases to analyse the experience. Only 10% of those who died were described as unconscious at the time, which suggests that most very old people do not simply ‘slip away’. Pain and distress were the most commonly reported problems. Pain was usually addressed, although not always effectively, but only a fraction of those with depression were treated. The study found that good care homes can play a role akin to hospices for frail older people whose deaths were non-cancer related. However, the number of older people dying in acute hospitals, where the odds of dying comfortably were lowest, makes this a priority area for improving end of life care. Informants sometimes found it difficult to say when the ‘final illness’ began as many people had been fragile long before death. 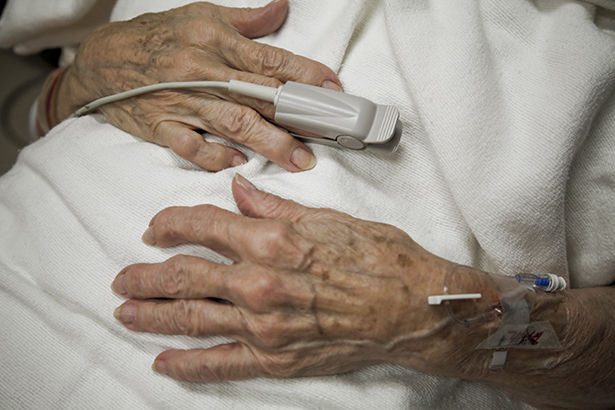 This can hinder advance care planning. Older people and their families should be prepared through discussions about anticipated deterioration. Early discussion of place of care and death using clear language and frank information could be helpful in opening communication channels for better symptom control. All too often a patient is admitted to hospital without their family having considered where they can be best cared for or would wish to die. Fleming J, Calloway R, Perrels A et al (2017) Dying comfortably in very old age with or without dementia in different care settings – a representative ‘older old’ population study. BMC Geriatrics. doi: 10.1186/s12877-017-0605-2.